The Just Born® Triangle-Print Plush Blanket in blue is made for warmth and comfort. Adorable designs and patterns add to this soft blanket’s style and charm. Made with cozy materials and attractive colors, this baby blanket measures a comfortable 30” x 40”. 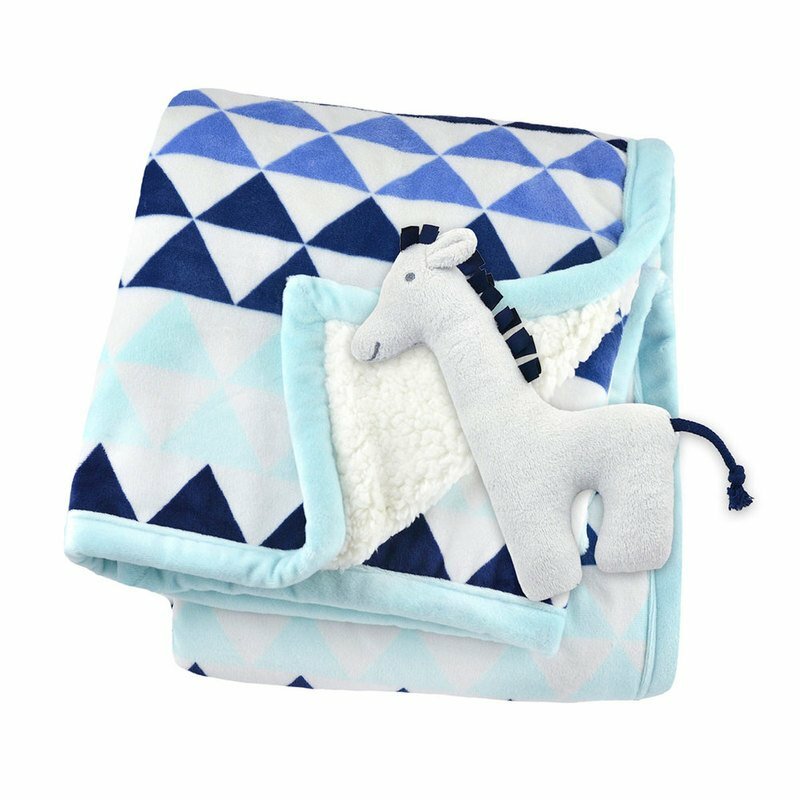 Along with its luxurious suede texture, blue triangle print and comfy Sherpa back, this baby blanket also comes with a velour giraffe rattle perfect for playtime.